Boyds, Md. – Washington Spirit defender/midfielder Taylor Smith sustained a torn ACL in her right knee on Saturday, Dec. 15 while playing for Newcastle Jets FC in a Westfield W-League match against Perth Glory. The injury occured when Smith took an awkward fall in the 86th minute of the match, which ended in a 2-2 draw. Smith, 25, was six games into her stint in Australia during the NWSL offseason, and recently earned Newcastle’s Player of the Month award for November. 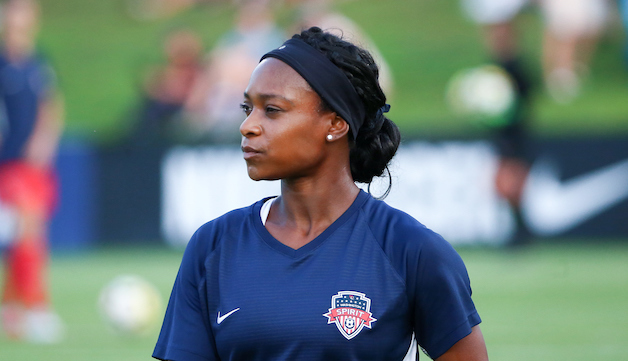 During her first season with the Spirit in 2018, Smith played 2,064 minutes over 23 games, serving as a key member of the back line and helping create scoring chances as a winger. The expected timetable for Smith’s recovery will be determined at a later date.